You are at:Home»Cover Stories»Weighing the Options: Is Industry Bias Toward New Machines Limiting? Weighing the Options: Is Industry Bias Toward New Machines Limiting? Rebuilt TBMs offer a number of advantages, including faster delivery times, lower costs, and proven equipment success. 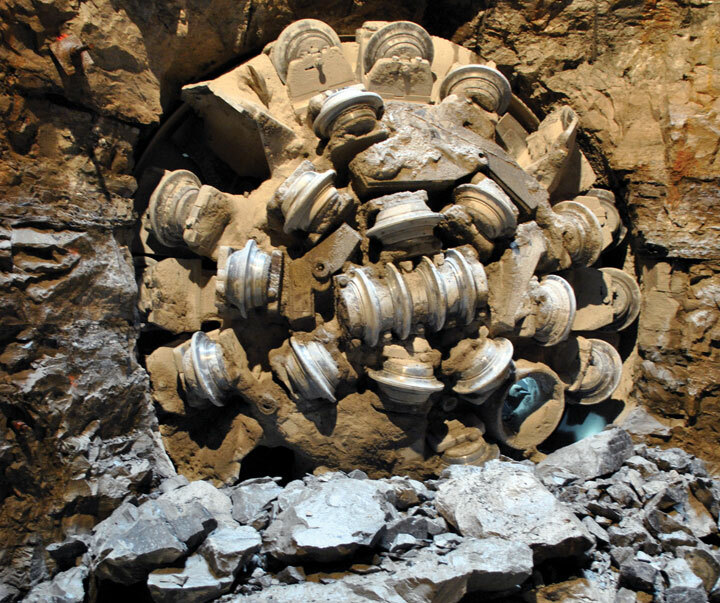 Much has been made worldwide of the difference in performance between new and rebuilt TBMs. Worldwide, a bias exists that seems to favor new machines, but is the bias warranted? The reuse of machines can, if done to exacting standards, reduce costs and time to deliver. Guaranteeing the quality of TBM rebuilds, however, is another issue. International guidelines have been developed to standardize the process of reusing a TBM for another project. But is standardization possible? And can a used TBM perform to the same standards as a new one? Many TBMs, like the one pictured in St. Louis, Missouri, have excavated dozens of km of tunnels and have been in use for decades. 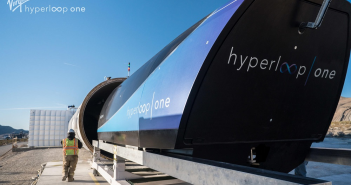 Large metro projects worldwide often employ dozens of TBMs working simultaneously, resulting in a glut of secondhand machines on the marketplace at any given time. But contractual constraints often form barriers toward using these machines on subsequent projects. “Consultants employed by project owners often over-specify technical specs — I’ve also seen a lot of cases where they are doing a cut-and-paste job on the specifications without checking on the requirements. Sometimes the consultants don’t have the TBM experience, and it shows in the specifications,” said Roby. However, over time a more enlightened view did develop to allow reuse of TBMs, though any machine proposed for reuse had to leave Singapore for refurbishment in the original manufacturer’s facilities. Willis continued that on some projects, such as India’s Mumbai Metro, initially there was a similar philosophy but a stipulation was later added to allow refurbished machines to help meet the aggressive delivery schedule. The new Robbins cutterhead with back-loading disc cutters provided for the record-setting TBM at Indianapolis, Indiana, USA’s DigIndy Tunnels. If the age and number of projects bored by a TBM is seen by some as an issue, a history of record-breaking projects achieved using rebuilt machines does exist. More than one third (36%) of currently standing world records have been broken using a refurbished TBM, some of them in service for decades. 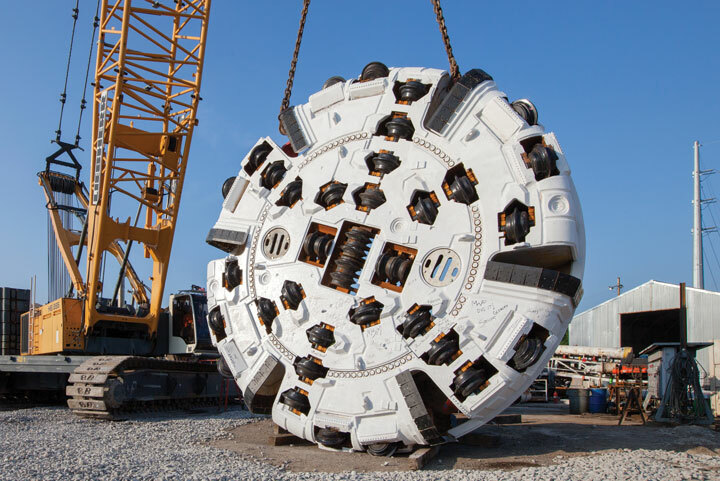 Recently a TBM manufactured in 1980 achieved three world records in the 6 to 7 m diameter range at the Deep Rock Tunnel Connector (DRTC) in Indianapolis, Indiana. The 6.2-m diameter Main Beam TBM had previously bored at least five other hard rock tunnels including New York City’s Second Avenue Subway. Design updates for the DRTC included a new back-loading cutterhead with 19-in. disc cutters, variable frequency drive (VFD) motors, and a rescue chamber. The records included “Most Feet Mined in One Day” (409.8 ft/124.9 m), “Most Feet Mined in One Week” (1,690 ft/515.1 m), and “Most Feet Mined in One Month” (5,754.6 ft/1,754 m). The machine is currently boring the next phases of the DigIndy network—a further 28 km in addition to the 12.5 km DRTC already completed. A custom design, for a project’s specific requirements and geology, is just as important on a rebuilt machine as a new one. For example, a contractor may wish to save money by purchasing a used TBM and rebuilding it to its original specifications. A 3-m diameter Main Beam TBM, rebuilt to the same diameter and specifications, will cost less than rebuilding the same machine but increasing the size to 4 m and adding custom elements. But are the savings truly obtained if the original TBM specifications do not fit the geology? Cutterhead configurations are a particularly important example, with cutter spacing, cutting tools, cutterhead geometry, and muck openings all coming into play and greatly affecting the rate of penetration. A good example of this concept can be seen at Mexico City’s Túnel Emisor Oriente (TEO). The geology is highly variable, with the tunnel 62 km in length and up to 150 m deep. One 8.93-m EPB was used to bore two separate lots with very different geology: Lot 1 and Lot 5. At Lot 1, the machine was used with its original cutterhead and soft ground cutting tools, along with a two-stage screw conveyor, to excavate watery lake clays with great success. The machine bored 4.6 km to complete its section of tunnel on the critical path. The cutterhead was designed as adaptable for both hard rock and soft ground configurations, but before it began excavation of the 8.6 km long Lot 5, it needed some modifications. Personnel added grizzly bars across the muck openings as well as heavy duty abrasion-resistant wear plating. Wear plating was also added to the screw conveyors so they could be used in open mode during excavation in rock. Lot 5 is one of the most challenging on the project, at maximum depth and with geology ranging from lake clays to abrasive full-face basalt. Despite the challenges the machine has been able to achieve a project record of 30 m in 12 hours, showing that an EPB can indeed be used in very different conditions. More than one third (36%) of currently standing TBM world records have been achieved using rebuilt machines. 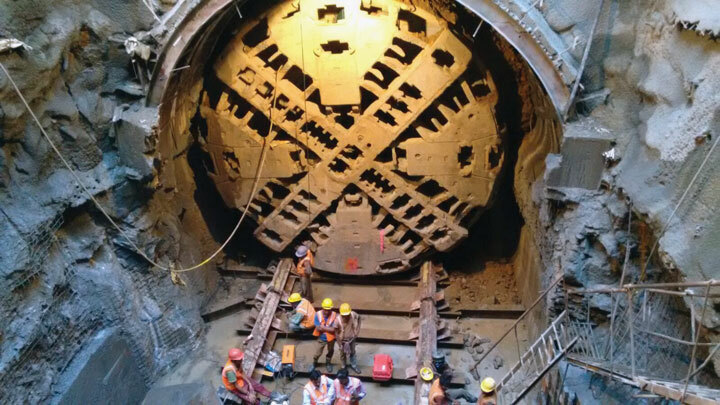 At Bangalore, India’s recently completed Namma Metro, iPS rescued and refurbished a stuck TBM from a European manufacturer, and then operated it for owner Bangalore Metro Rail Corporation (BMRC) alongside the project’s original contractor. “We found severe wear — the cutterhead was essentially bare; the cutters and grill bars had been worn away. We also found a serious crack in the screw conveyor and the flights had been severely worn.” The TBM had been operating for 12 months and had bored 300 m of abrasive ground with insufficiently thorough maintenance. It came to a standstill below the main railway lines at a major Bangalore metro station. iPS were able to build an intermediate shaft and refurbish the TBM to the point that it could advance into that shaft for further rebuild work including a replacement cutterhead. iPS rescued and rebuilt a European-manufactured TBM at Bangalore, India’s Namma Metro. The cutterhead features including cutters and grill bars had been worn away. Maintenance while storing a TBM between projects also affects equipment life and can minimize the costs of a subsequent rebuild—such as storing components indoors, coating the equipment with anticorrosive spray, and making sure the main bearing is filled with oil. Owning and using a new TBM has added hidden benefits including familiarity of machine operation and proven performance for that particular piece of equipment. The rebuilding of TBMs — both the process and the standardization of rebuilds — has become a focus for the industry as more projects with multiple machine requirements and short time frames are being proposed. The focus has been further highlighted by the ITAtech, a technology-focused committee for the International Tunneling Association (ITA-AITES) that produced guidelines on rebuilds of machinery for mechanized tunnel excavation in 2015. Remanufacturing – Remanufacturing is a process with the aim to start a new life cycle of the product using its current or modified configuration. 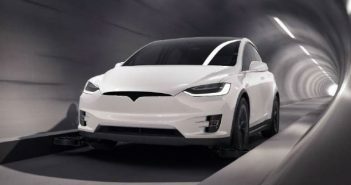 Refurbishment – Refurbishment can be considered a full maintenance, where defect parts are replaced to extend the life of the product in its original configuration or with small modifications. 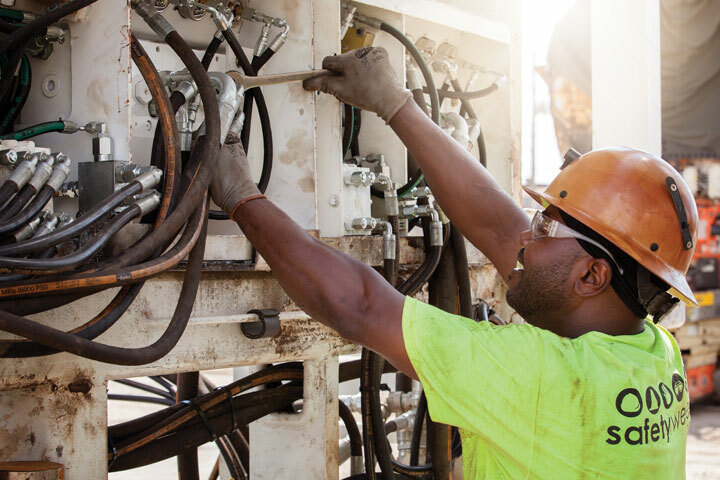 The guidelines describe the requirements of each process in order to designate a TBM “refurbished” or a “remanufactured,” but in reality the majority of “rebuilt” TBMs may be somewhere in-between these qualifications. In terms of the international guidelines, they are certainly necessary and welcomed. However, the strictness of the guidelines can make them hard to adopt for the majority of TBM rebuilds, which are customized based on project needs. Is a used TBM as good as a new one? In short, the answer is yes, with qualifications. The machine’s rebuilt specifications should fit that project’s geology and unique requirements. With a proper design and rebuild, a used machine has advantages: “The design is proven, the cost is usually lower and there is an advantage in faster delivery times. The risks are only when the TBM is not properly built or when a machine is put into geology where it’s not suitable,” said Roby. Overall, there are many benefits, both obvious and hidden, to using a rebuilt machine, but the rebuild should be done within certain design restraints to remain economical. “There’s always the possibility to upgrade power and thrust on a machine but there are strict engineering limits. If you increase the cutterhead drive motor power, the gear reducers and final drive ring gear and pinions must have the capacity to take that increase in power. If you’re increasing thrust, you need to check the bearing life and make sure that the bearing can take the increased forces. If you’re exceeding gripper capacity on a hard rock TBM, you have the wrong used machine for the job.” Roby added that the type of TBM and whether it is shielded or not also matters. “If you’re changing the diameter of an EPB such that it requires new shields that may not be the best choice economically. 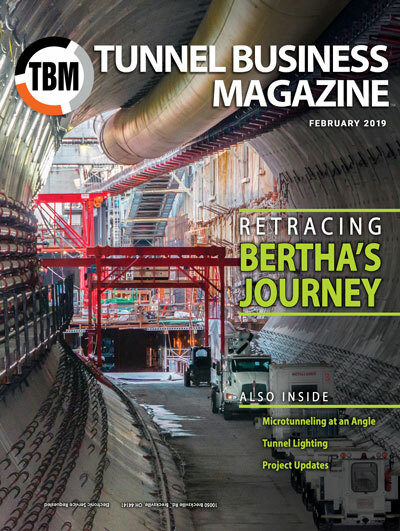 Purchasing a larger EPB would make sense in that situation.”Overall TBM design and usage for the long haul is simply a cost effective, energy efficient, and sustainable way of thinking about tunnel boring. Used machines can and have shown their ability to excavate projects at world-class rates of advance and complete many kilometers of tunnel with success. This article was contributed by The Robbins Company.